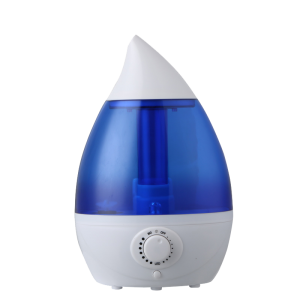 Nitric oxide is produced in the body in the nasal sinuses, and is ‘activated’ by nasal breathing. Nitric oxide is important for everything from keeping airways open to cognitive function to tumor supression. 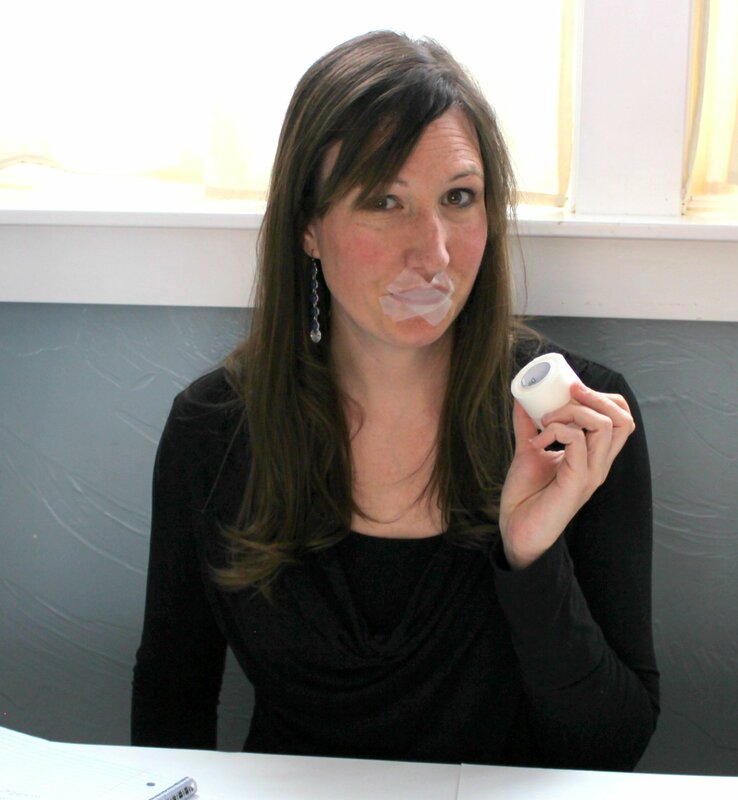 Somnifix is specially designed for mouth taping, and it may be a good way to introduce yourself to tape the mouth. After using this hypoallergic strip, most of us long-term mouth tapers have chosen to use regular medical tape instead (below). My 8 year old has a top front tooth that is behind his bottom teeth when he bites. He really needs this tape treatment. He will be getting a retainer to correct his bite this year. Should I wait until after his bite is corrected? Or would it be harmful to try the tape now? If it was my child, I’d start now! If he complains of jaw pain after you try it I’d stop and check with your dentist, but otherwise the body can correct quite a bit, especially as young as 8. So interesting! All of my children sleep terribly, especially my 17 yo son with autism. But after I read this i thought, all 3 of them sleep with their mouths agape! 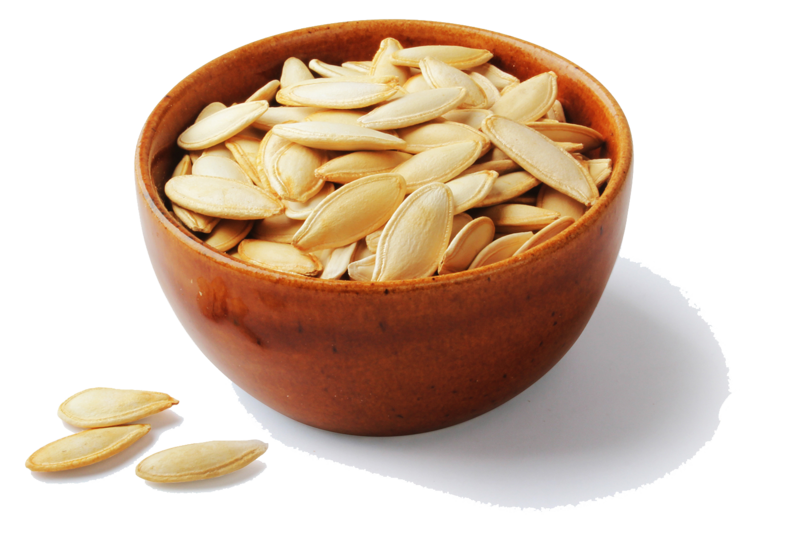 I’m gonna talk them into trying this out… What could it hurt! Thank you so much for all your informative posts. I’m not a mouth breather by day, but when I get horizontal I feel as though I’m going to suffocate when I keep my mouth shut. I read for an hour lying in bed before lights out; maybe I can try the tape while I’m awake so I can tell if I get cyanotic :). Thanks for your post. Ben Lynch’s book and talks are the first place I heard about needing to keep my mouth shut (well, except for my DH). And thanks for the tape tip–many tapes cause my skin to break out in red welts. We’ve been doing this for 9 months now, as a family. The kids don’t love it, but they are used to it now and they are getting better about things. I’m always saying “Where’s your tongue?” of “Tongue on your spot!” We are seeing progress and praying for more as we continue. Cara, do you know why we mouth breathe if our natural state is to breathe through our noses? Just curious. I have skeptical kids! I understand! I think it might be from being ‘more allergic’ than healthier generations and having more chronically stuffy noses as children, so we lose the habit. We all start out nose breathing, as babies can breathe as they nurse/bottle feed for sure :) Also low-grade stress might have something to do with it too since we do naturally breathe through our mouths when stressed. I struggle as an adult with mouth breathing and as I saw my son developing the habit because of his stuffy nose I realized why I do it too. I lived on Dimetapp in the 80’s when I was a kid, I was always stuffy. I also had asthma so breathing through my mouth was definitely a panic reaction to get air. I have times now as an adult where I start to panic when I make myself breathe through my nose because I feel positive that I am not getting enough air and not being able to breath is my worst fear. After discovering my son has a milk allergy I put a few things together about myself. When I was a kid I drank a lot of milk, I mean a lot. I would go through a gallon of whole milk by myself in two and a half days when I was as young as six. I connected the dots and realized my major stuffiness and need to drink Dimetapp daily had to come from my own allergy to milk. I still put half and half in my coffee but that is the only dairy I consume and my stuffy nose is cleared up. I do still have asthma and catch myself falling back on the old habit of mouth breathing but I am much more conscious of it. 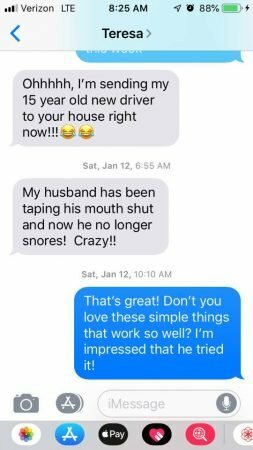 I am going to try mouth taping with my family, all three of my kids sleep terribly and are always tired and tend to breathe through their mouths. Thank you for this information! I’m so glad you’re figuring out the milk allergy thing! It’s so common! 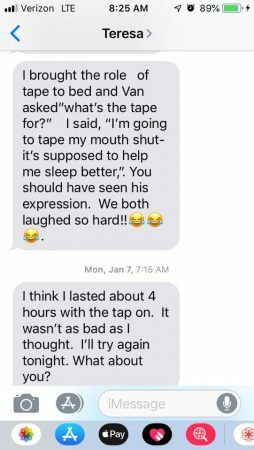 I’d love to hear about how the mouth taping goes after you try it! This sounds great but first you have to make sure there isnt a tongue tie first. That is one of the major causes of mouth breathing and no amount of taping your mouth will fix the tongue sitting in your mouth incorrectly.. All that will happen is you will get less oxygen because you cant even start to breath properly through your nose until the tie has beem fixed and you have done therapy to undo the damages. Please add this as a disclaimer..
That’s worth looking into, but my 3 all had tongue ties as infants (midline defect, I talked about it a little more here) and they all do just fine with tape. The little ‘tied’ bit stretched as they grew, it just made it so I had to nurse them in a certain position as newborns. They don’t look tongue tied now at 12, 10, and 4. I think it’s good that people are aware of tongue tie, but I don’t think it’s quite as drastic as your comment implies. You are completely misunderstanding the physiology behind this. Please encourage your followers to go to a speech pathologist for tongue thrust remediation. That is the only permanent appropriate solution. At rest a child or adult with a normal swallow will have their tongue rest on the alveolar ridge. You cannot mouth breath with your tongue in the correct resting posture. Please don’t tape your kid’s mouths. We’ve been 10 years with a variety of SLPs at least once a week, sometimes 3x a week, in 3 different states. 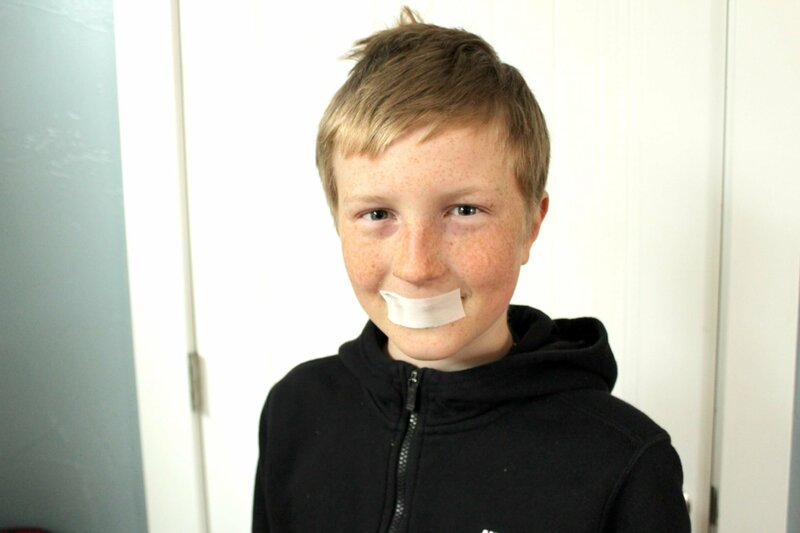 Taping helped correct open mouth posture within weeks. Please don’t assume that just because I DIY stuff I don’t also seek professional support, or that I need a master’s degree to help my children. I am extremely concerned about your blog post about mouth taping. 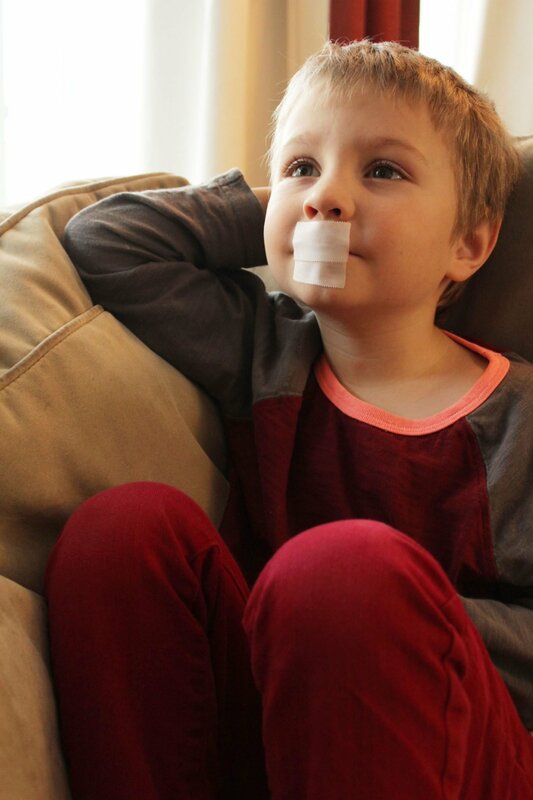 As a pediatric Speech-Language Pathologist with over 20 years of experience and a certification track orofacial myologist, the information you are giving to uninformed parents to TAPE their kids’ mouth closed is dangerous. Do you realize that children breathe through the mouth because the body makes them so THEY CAN LIVE? For 99% of children, this is NOT a choice, but survival. Do you know how to tell the difference? I don’t see any information on your site regarding your extensive medical training enabling you to prescribe parents do this to their children. I also don’t see a disclaimer that you are NOT a medical professional. Don’t you think this should be posted over and over again? I don’t have time to go into the other posts on your site, some of which are highly questionable as well, but this one is by far the most concerning with serious consequences should a parent decide tape the mouth of a child who CANNOT breathe through their nose due to a structural problem. Please consider the ramifications of what you post especially since most people are not reading the entire post, nor seeking out medical professionals into why their children may be breathing with their mouths open. 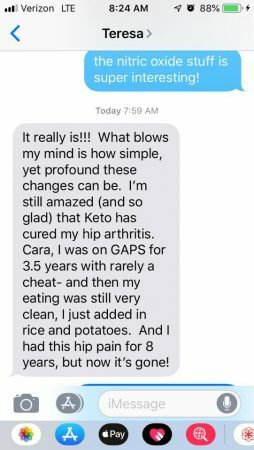 No worries, I know I’ve hit something good when I start getting angry comments ;) I’ve had a dozen years of conflicting advice from certified professionals, it doesn’t rattle me anymore. It’s all over my blog that I’m just a mom, and nothing that I ever write can be considered medical advice.